Matlock, Kentucky’s good guy and bad boy brothers, Johnny and Toby Gamble, meet the new girls in town, the Forrester sisters—sugary-sweet Eliza and smooth-leather Addie. 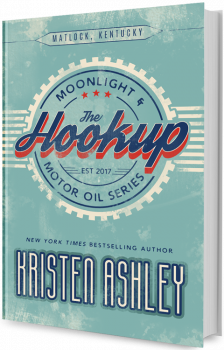 Enter Moonlight and Motor Oil and follow the love stories of two brothers and two sisters who were made for each other. Toby and Addie’s story in The Slow Burn is the final installment to the series. 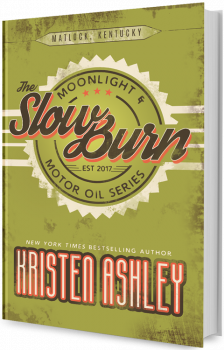 But want your dose of The Moonlight and Motor Oil Series in print?